Following 15 years of evolution, revolution and innovation, SkinCeuticals, the market leader in advanced scientific skincare, arrives in South Africa. 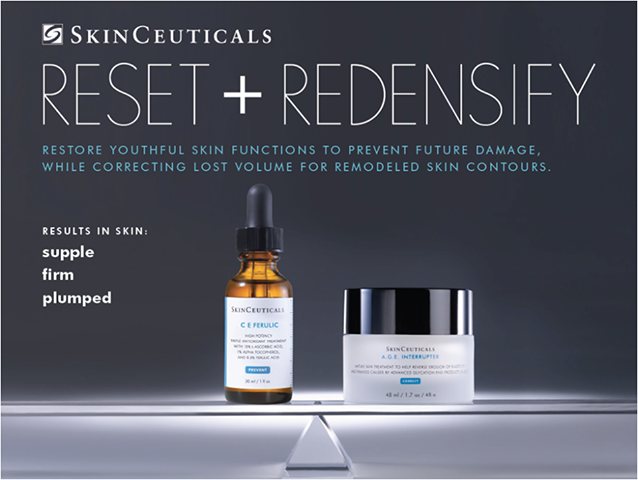 SkinCeuticals was developed and perfected through decades of research and clinical trials in skin cancer research, the causitive effects of photoageing, and superior antioxidants. The science that helped pioneer the advent of Cosmeceuticals around the world. These revolutionary studies lead to the development of 10 antioxidant patents and 20+ peer reviewed studies on the science behind the brand. SkinCeuticals was born from science in 1997 due the revolutionary work by Dr Sheldon Pinnell, Professor of Dermatology at Duke University in North Carolina USA. Pinnell was the first to stabilise pure Vitamin C (L-Ascorbic Acid), into a cosmetic solution, at a high concentration and a low pH. This resulted in advanced anti-ageing skincare breakthroughs at the forefront of antioxidant technology. Dr Pinnell is considered amongst his peers as the father of antioxidants. 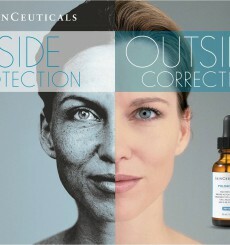 SkinCeuticals is used in professional treatments together with professional skincare protocols and clinical procedures. The brand is recommended by the best dermatologists and plastic surgeons and SkinCeuticals is now distributed by over 4,000 dispensing clinics and medispas in 25 international countries. Prematurely aged skin that shows signs of photo-damage. Deep lines and wrinkles caused by glycation of the skin which disrupts collagen and elastic production, function and breakdown. Adult acne with a dual focus on hormonal breakouts and signs of ageing. Compromised skin following chemical or clinical procedures. Reduces skin sensitivity and improves the skins natural protection. Regulates and improves normal skin functioning for day to day use.